When durian is in season, I'm always clueless on how to make my kids finish the durians in the containers...so, here's one way ...it's lovely with bread. 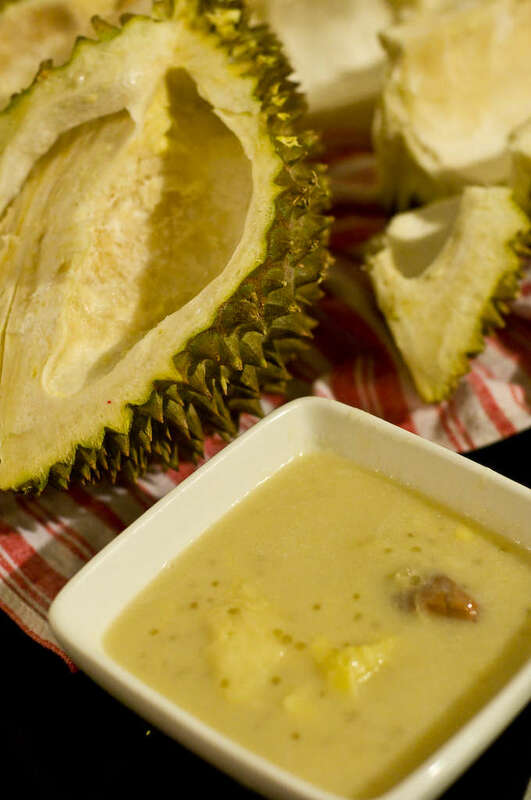 Boil durian with seeds on in water. Add in palm sugar, sugar, salt & sago pearls. Stir once in awhile to prevent burnt sediment at the bottom at the pot. Simmer till thicker. Finally, add in corn kernels & coconut milk. Boil & lets simmer for 15 mins. * Better with fresh coconut milk & fresh corns.